Batman: Arkham Knight has been one of the most anticipated games for PS4, Xbox One and PC since it was announced in March. 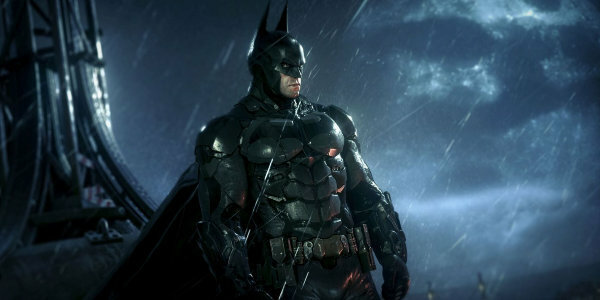 Rocksteady is making some huge promises in their third game starring the Dark Knight. There's been a steady stream of official announcements, rumors and hoaxes since Arkham Knight after the first reveal. Here's everything we know (and don't know) about the game to date. Batman: Arkham Knight is being developed by Rocksteady Studios, the creator of Batman: Arkham Asylum and Arkham City. They've described Arkham Knight as the "finale" to the series. 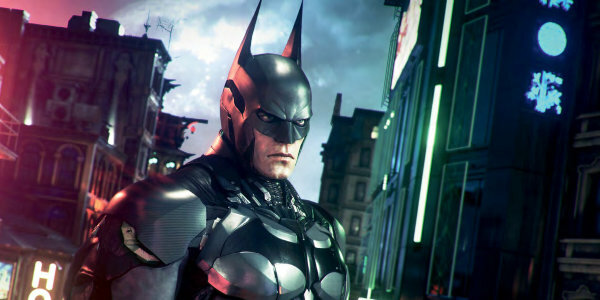 Rocksteady is crafting the game with Unreal Engine 3, the same tech behind Asylum and City. The visuals are noticeably sharper, though, thanks in part to the platforms. Arkham Knight is the first game being developed for PS4 and Xbox One rather than PS3 and Xbox 360. 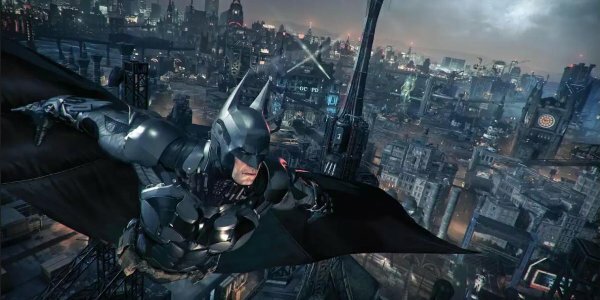 "We’re excited to be developing the game for next gen platforms, which has allowed us to bring to life the design elements that we envisioned from the beginning such as the Batmobile and how it augments Batman’s abilities, to the fully detailed and realized Gotham City," said director Sefton Hill. The studio explained several tech improvements in the initial Game Informer preview. One character from Arkham Knight is said to have as many polygons as an entire environment from Arkham Asylum. Batman's cape and Gordon's trenchcoat will both sway from wind and movement. Gordon's face is visibly aged and will wrinkle as he talks. WB Games Montreal's Batman: Arkham Origins introduced multiplayer to the series. The Joker and Bane's gangs duke it out while Batman and Robin stalk and take out criminals from both factions. The gang members could periodically become Bane or the Joker to give their team a lift. Batman: Arkham Knight won't be bringing back this multiplayer mode. In fact, it won't have any sort of online play. "We want to focus on making the best single-player experience we can," Hill told Game Informer. "We don't feel that it needs a multiplayer element." Arkham Knight brings back several of Batman's most notorious enemies, including the Penguin, Two-Face and Harley Quinn. They're united under Scarecrow with a single mission: to finally kill Batman. 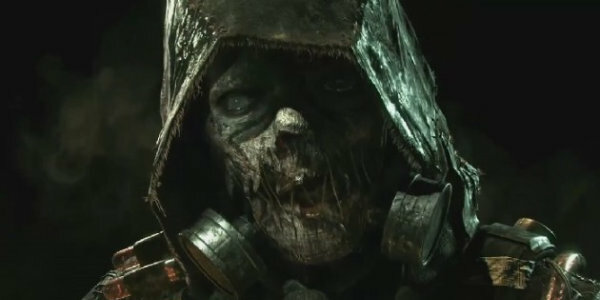 Scarecrow uses a fear toxin to cause widespread panic among Gotham's citizens. Most of them have fled the city. Gotham is effectively controlled by these supervillains, along with their army of mercenaries and drones. Batman and an outgunned police department are the only ones standing in their way. Batman's gallery of rogues has an unexpected ally: the Arkham Knight. Arkham Knight has a high-tech suit of armor that resembles Batman's, except with the logo of Arkham on his chest. This mysterious character has a grudge against the Dark Knight for some unknown reason. The Arkham Knight's identity has been the subject of much speculation, with fans theorizing that he's really Hush, Jason Todd, or another character from Batman lore. Batman still has many of the gadgets he used in Arkham Asylum and Arkham City, including his batarangs, grapnel gun and line launcher. He's developed some new toys since the last game, though. A new batarang sensor lets him gather important intel on the surrounding area. His cape's gliding abilities have been enhanced so he can fly for much greater distances. Then there's the batmobile, which I'll explain in a bit. Although he's outnumbered by his enemies, Batman has allies as well. Barbara Gordon, a.k.a. Oracle, will provide tech support to him throughout the game. Her father, police commissioner James Gordon, leads the remnants of the GCPD throughout the city. He and Batman have gained each other's trust over the Arkham series and will work together in retaking Gotham. Arkham Knight will explore Batman's relationship with these allies. They may suffer because of their ties to the Dark Knight. "Those characters have been part of the Batman Universe for so long, but we, in the telling of this part of the story, wanted to ask ourselves: what happens when Batman goes to war?" said producer Dax Ginn. "What happens when the people that he loves start to pay the price for the decisions that he makes about his war on crime?" There have been some crazy rumors about Arkham Knight's cast. 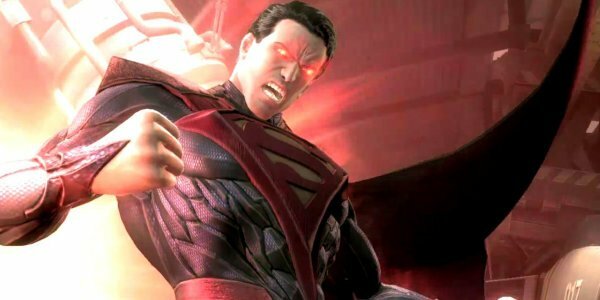 Everyone from Robin to Damian Wayne to Superman himself has been rumored to be in the game. These reports are mostly bogus, though. They're based on cast listings from IMDB, a site where anyone can add or change information. The fact that many of these supposed cast listings vanish soon after being published just further highlights how unreliable that resource is. Gaming sites should really stop treating that cast information as gospel. If a character rumor sounds too good to be true, it probably is. Wait until you see a character in a trailer or screenshot before you get excited. 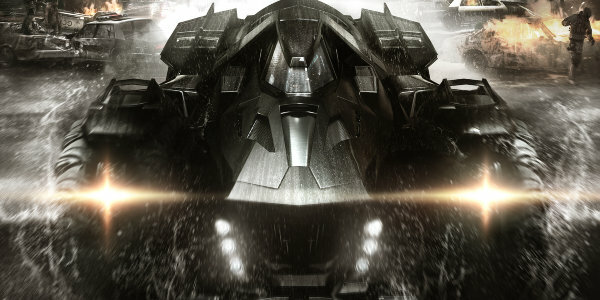 Batman: Arkham Knight is the first game in the series to let players drive the Batmobile. They can summon the Batmobile with a push of a button and use it to quickly traverse Gotham City. Another press of a button will catapult them out of the cockpit. They can land on the street below or glide through the air with Batman's cape. The Batmobile isn't just for transportation, though. It's a heavily-armored war machine with several weapons. Its armaments include a missile launcher, 60mm cannon and vulcan gun. Batman will have to use all of them to take down hostile drones throughout Gotham. Batman can use his batmobile to take down gang members, too. He's loaded the vehicle with non-lethal weapons like a riot suppressor so he won't have violate his personal rule against killing. He can't even run over enemies; tasers lining the vehicle will deliver a powerful electric current that flings enemies out of the way. 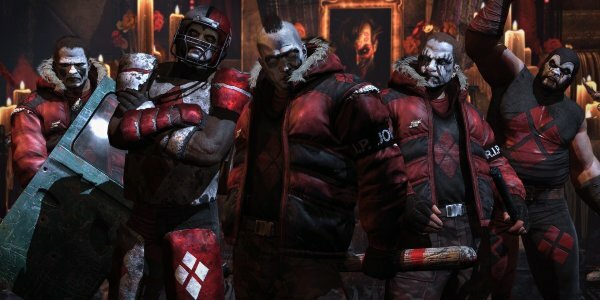 Batman: Arkham Asylum and Arkham City limited players to small parts of Gotham. However, Arkham Knight lets them explore the bulk of the city. The game world's said to be five times the size of Arkham City's. While trying to restore order to the city, Batman won't make trips back to Wayne Manor. Instead, he can head to the Gotham Clock Tower and access a mini-Batcave. This tower is also the base of operations for Oracle. Batman can also visit his swank penthouse apartment. "We put a massive bar in there, because he’s always entertaining," said Ginn. "So little things like that, that fit the way that we’ve interpreted Bruce Wayne. It’s awesome for us to just let loose and really come up with a creative space that we feel is true to the Arkham experience, but also true to Batman." Batman: Arkham Knight was originally scheduled for a fall 2014 release. 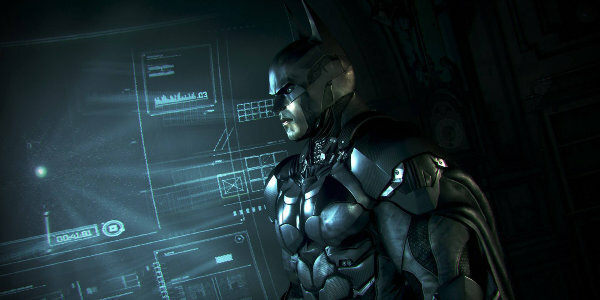 However, Rocksteady announced in early June that they were pushing the game to early 2015. "The very simple reason for doing this is to ensure we are delivering the awesome level of quality that Batman fans and gamers expect from this, the final episode and the epic conclusion to the Rocksteady Arkham trilogy," Ginn told Kotaku. The Microsoft Store listed the game's release date as February 24th. However, they removed that date soon afterward so it might not be accurate.